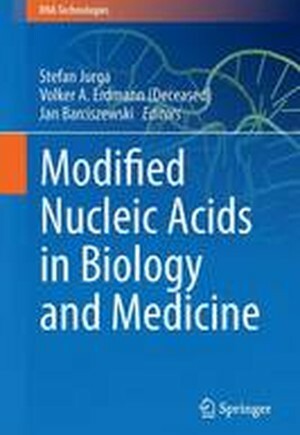 This volume is comprised of 18 chapters, covering various aspects of DNA modification and RNA modified bases. It also discusses in detail circular RNA, therapeutic oligonucleotides and their different properties. The chemical nature of DNA, RNA, protein and lipids makes these macromolecules easily modifiable, but they are also susceptible to damage from both endogenous and exogenous agents. Alkylation and oxidation show a potential to disrupt the cellular redox equilibrium and cause cellular damage leading to inflammation and even chronic disease. Furthermore, DNA damage can drive mutagenesis and the resulting DNA sequence changes can induce carcinogenesis and cancer progression. Modified nucleosides can occur as a result of oxidative DNA damage and RNA turnover, and are used as markers for various diseases. To function properly some RNA needs to be chemically modified post-transcriptionally. Dysregulation of the RNA-modification pattern or of the levels of the enzymes that catalyze these modifications alters RNA functionality and can result in complex phenotypes, likely due to defects in protein translation. While modifications are best characterized in noncoding ribonucleic acids like tRNA and rRNA, coding mRNAs have also been found to contain modified nucleosides. This book is a valuable resource, not only for graduate students but also researchers in the fields of molecular medicine and molecular biology. Transfer RNA Modifications: from Biological Functions to Biomedical Applications.- Regulated tRNA Cleavage in Biology and Medicine: Roles of tRNA Modifications.- Sulfur-Modifications in tRNA: Function and Implications for Human Disease.- Regulation of Protein Synthesis via the Network Between Modified Nucleotides in tRNA and tRNA Modification Enzymes in Thermus thermophilus, Athermophilic Eubacterium.- Post-Transcriptional Modifications of RNA: Impact on RNA Function and Human Health.- RNA Modification N6-methyladenosine in Post-Transcriptional Regulation.- 8-Hydroxyguanine, an Oxidative DNA and RNA Modification.- Methods for Determination of 2'-O-Me in RNA.- DiadenosineTetraphosphate (Ap4A), in Health and Disease.- Thinking Small: Circulating MicroRNAs as Novel Biomarkers for Diagnosis, Prognosis and Treatment Monitoring in Breast Cancer.- Modified Antisense Oligonucleotides and their Analogs in Therapy of Neuromuscular Diseases.- Effect of Depurination on Cellular and Viral RNA.- Recognition of RNA Sequence and Structure by Duplex and Triplex Formation: Targeting miRNA and pre-miRNA.- Modifications in Therapeutic Oligonucleotides Improving the Delivery.- Interstrand Cross-Linking of Nucleic Acids: from History Towards Recent and Future Applications.- Chemical Synthesis of Lesion-Containing Oligonucleotides for DNA-Repair Studies.- Single-Molecule Visualization of Biomolecules in the Designed DNA Origami Nanostructures Using High-Speed Atomic Force Microscopy.- Polymerase Reactions that Involve Modified Nucleotides.